In September of 2004, a small group of enthusiastic ladies who enjoyed singing gathered to sing in four part harmony with one of the group directing. In a short period of time they chose to share their time with others who may have the same interest and began inviting others to join them. The original group has expanded to a current roster of 31 members. The members travel from Hagerstown, Waynesboro, Mont Alto, Fayetteville, New Oxford, Shippensburg, Newburg, Orrstown, Carlisle, and of course a number are from Chambersburg. 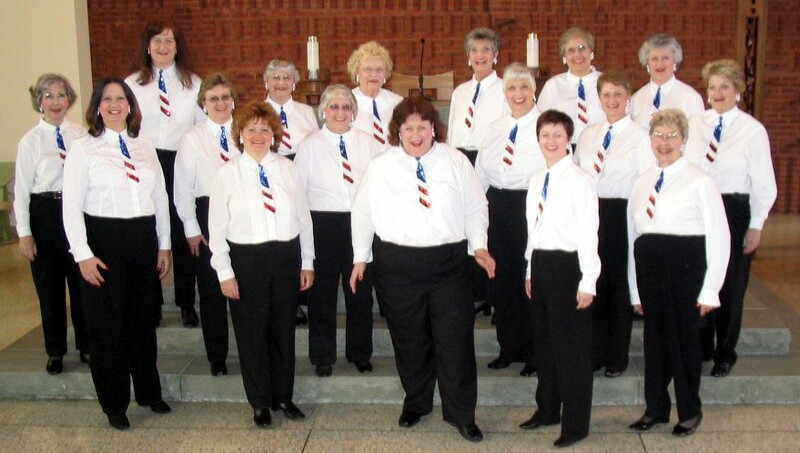 Freedom Valley Chorus became a charter member of Sweet Adelines International in June of 2007. Since that time the Chorus has entertained many audiences in south central Pennsylvania and northern Maryland and has competed each year at Region 19's conventions in Ocean City, Maryland. The name Freedom Valley honors the pioneers and patriots who settled and defended this part of the Cumberland Valley, which is often called the Great Valley. The first armed attack by American colonists protesting British policies happened in 1765 at the British Fort Loudon, just 14 miles west of Chambersburg.